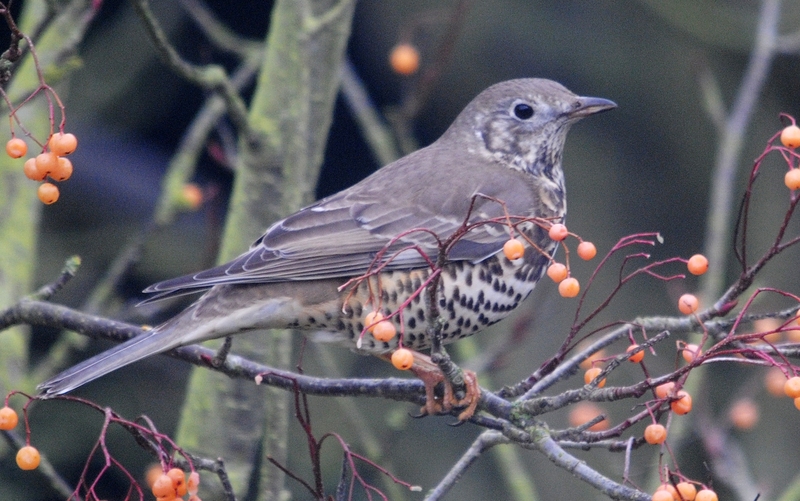 Mistletoe is a parasitic plant and birds rub the berries onto tree bark, especially the Mistle Thrush. It can lie dormant for years before living off its host and creating the plant we see hanging from branches. The tradition of kissing under mistletoe is long standing, but there are other stories concerning this plant and one in particular is about the Norse god Baldr, who was handsome, good natured and popular. He was the son of Frigg and, it is thought, Odin and was often known as ‘Baldr the Beautiful’. Sadly, Baldr had nightmares that were premonitions of him dying. His Mother took steps to protect him and dispel his fears – she made everything that grew in the earth or lived on the land, be it animal, vegetable or mineral unable to harm Baldr in any way. He was indestructible. The other gods thought it fun to practice their fighting and firing skills on him, but he always remained alive. Now one of the gods, Loki, was jealous of Baldr and one day, on seeing mistletoe realised that as it didn’t grow on the ground, it would not be covered by Baldr’s mother’s protection of her son. He made a spear-like weapon from the mistletoe, but he did not want to take the blame for any harm that might come to Baldr, so he convinced Baldr’s brother, Hod who was blind, to practice with the weapon on his brother. Sadly Baldr did die from a single injury inflicted by Hod with the mistletoe weapon. The other gods all mourned Baldr and his Father, Frigg wept for his son. His tears are said to have become the berries on the mistletoe and Frigg proclaimed that mistletoe should be a symbol of friendship and peace. For more about mistletoe, why not visit The Mistletoe Pages?